The items below are all discounted as clearance items. If you would like a particular item to be embroidered or printed, please just e-mail tony@promostitch.co.uk. A list of fonts that can be embroidered directly from our embroidery machine can be found here. VAT will be added at the shopping cart and a VAT invoice sent with the clothing. 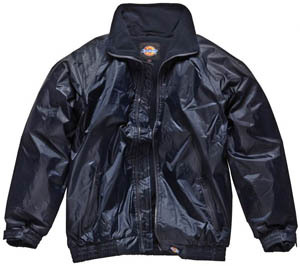 Fabric: 100% polyester with a waterproof PVC coating, seams tape welded.